Abstract: This article is a reflective account of the process of a social care worker’s professional development over a span of 28-years, primarily working within children’s residential care settings. It charts the author’s journey with regard to his ability to cope with anxiety (pain-based fear) and to live “on the edge” in his professional practice. The author’s personal experience as a young boy of the death of his father is identified as having caused pain-based behaviours for the author until such time as he faced the pain of this loss. The traumatic experience then became an asset in his direct work with children and young people in the role of a“wounded healer”. The article introduces the concept of “vicarious confidence” and its critical role in leadership and supervision. 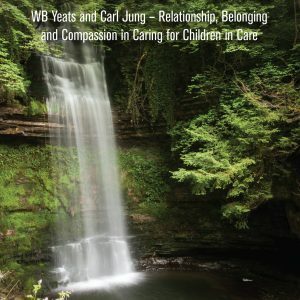 Self-care is discussed and the concept of “system-trauma” is identified. The article also discusses the role of magic in social care and links this to neuroscience and brain MRI images. The article highlights the positive role pain can play in enabling workers to connect empathically with hurt children and young people and posits that if we are to care authentically then we must be prepared to experience pain.